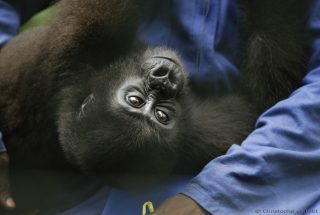 Loango is Africa’s Last Eden: The naturalist Mike Fay has referred to Loango, one of Gabon thirteen national parks, as ‘Africa’s Last Eden’. 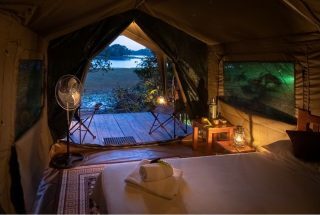 This is also where the photographer and conservationist Nick Nichols from National Geographic took his famous pictures of surfing hippos and elephants on the beach. 70% covered by wildlife rich rainforest. 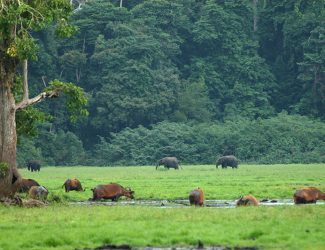 But there’s plenty more to discover in the rainforests and waters besides hippos, for Gabon is home to forest elephants and western lowland gorillas and nearly 200 other mammal species, 600 species of birds, and more than 8,000 plant species. 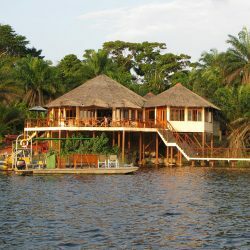 Arrival at Loango Lodge, enjoy a boat tour of the Estuary on the Iguela lagoon. After this special boat trip whereby you can see many bird species you will enjoy a few sundowners at the beach, dinner at lodge, overnight Loango Lodge. Enjoy and explore the immediate area around Akaka, travel by boat to Sitatunga Point to be picked up to go to Lourie Wilderness Camp. Enjoy the Lourie area with a safari vehicle and have a BBQ at the camp. Overnight Lourie Wilderness Camp. 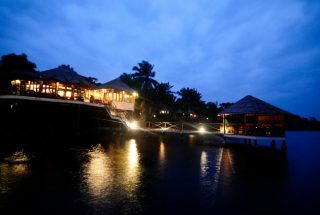 Travel back to Loango Lodge and start your journey to Port Gentil for your flight back to Libreville. 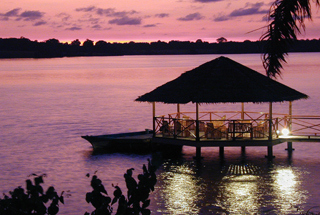 Arrival at Loango Lodge, enjoy a boat tour of the Estuary on the Iguela lagoon. After this special boat trip whereby you can see many bird species you will enjoy a few sundowners at the beach, dinner at lodge, overnight Loango Lodge . Enjoy and explore the area around Akaka, by boat on the Ngowe & Echiera rivers and do a nice hike in the incredible scenery and try to spot the lesser seen animals like chimpanzees or even leopard. Overnight in Akaka Camp. Travel by boat to Sitatunga Point to be picked up to go to Lourie Wilderness Camp. Enjoy the Lourie area with a safari vehicle and see it’s savanna, yet another remarkable part of the eco system in Loango NP. Have a BBQ at the camp. Overnight Lourie Wilderness Camp. Early morning hike in the Lourie area to wake up with the beautiful surroundings. After the hike take a road transfer to Loango Lodge for lunch and have the afternoon at leisure. 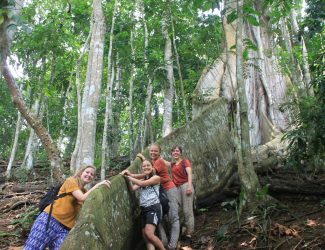 If you want to do another excursion you are more then welcome to ask your guide. Think of whale watching when you come in the right season. Dinner and overnight in Loango Lodge. Start your journey to Port Gentil for your flight back to Libreville. Depart Loango Lodge by boat to Yatouga Gorilla research camp, search for the gorillas and experience them in their natural habitat. 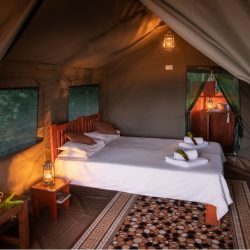 After this great experience travel with a safari vehicle to Tassi Savanna Camp. During the drive you can see some nice sighting. Dinner at the camp, overnight at Tassi Savanna Camp. 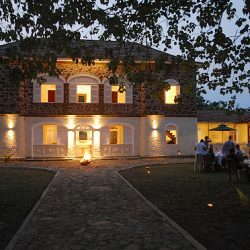 Today you’ll spend a full day in the Tassi Area. This will include hikes, drives and kayaking. 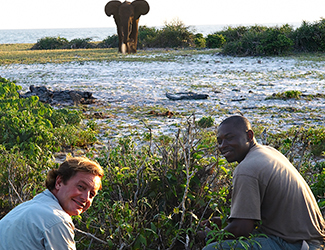 The Tassi area offers some of the best game viewing opportunities in the rainy season. Buffalo, elephant and red river hog is common and the latter can be approached on foot up to a few meters. After lunch travel towards Loango Lodge via the Louri area. This part of the park is renowned for elephants visiting the beach in the afternoons and it will make for some unique sightings. Early morning hike in the Lourie area to wake up with the beautiful surroundings. After the hike take a road transfer to Loango Lodge for lunch and have the afternoon at leisure. 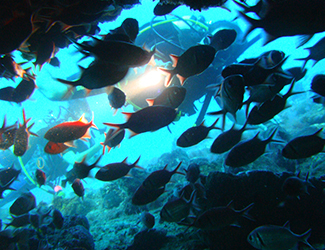 If you want to do another excursion you are more than welcome to ask your guide. Think of whale watching when you come in the right season. 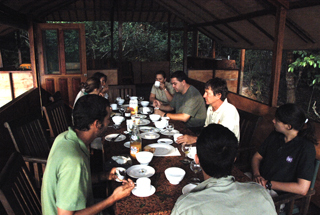 Dinner and overnight in Loango Lodge.